The Little Mouser enemies debuted in Super Mario World 2: Yoshi’s Island and loves to steal an egg from Yoshi there. They returned years later in some of the Mario Kart and Party games but were renamed to Squeeks. Probably to underline that they would not be related to Mouser, one of the stage bosses in Super Mario Bros. 2. In Yoshi’s New Island, they became known as Little Mousers again though. 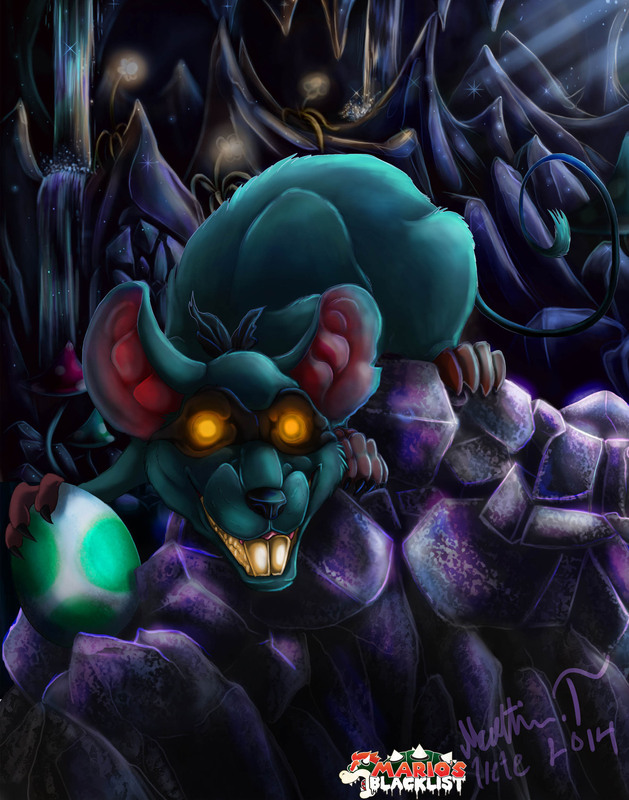 Our illustration of them was drawn by Irete from Sweden, I like her take on the Little Mouser’s a lot since she draw them a lot more scary looking than they are in the game. “I know mousers are cuter in the game and more annoying than harmful mostly. But I decided to go with something more realistic (and little more nasty looking).